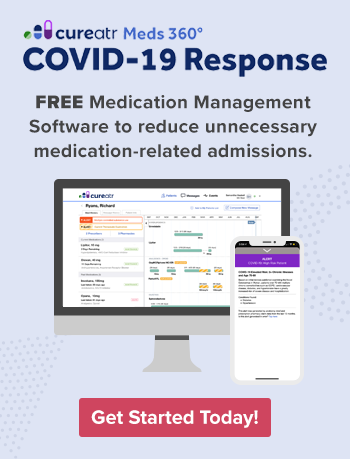 Care management programs have become vital tools in helping organizations meet the treatment needs of patients, particularly those with complex medication conditions, while more effectively controlling the costs of their care. Such programs have taken on greater importance in recent years as healthcare has begun moving away from fee-for-service toward value-based payment models. But simply developing a care management program does not ensure it is successful. Rather, a poorly operated and/or managed program could negatively affect quality of care and drive up costs for providers and patients. Here are six ways to help ensure your care management program is effective. 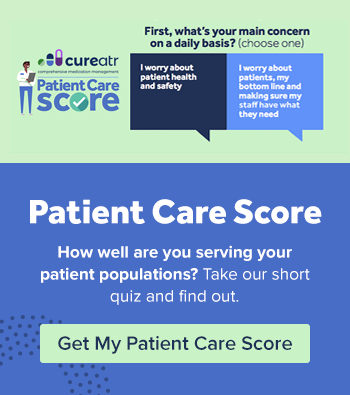 A care management program tends to perform best when initiatives are directed toward specific populations and/or needs identified within an organization's patient community. By defining the scope and focus of the program, program managers can help ensure activities are always geared toward helping those targeted individuals. With a program scope defined, determine who should be involved in program development and execution. As a Center for Health Innovation & Implementation Science (CHIIS) blog notes, "Stakeholder support is critical to success. Involving stakeholders during all stages of a care management program can lead to early buy-in, successful program design, and the establishment of long-term support for the program. Hence, in many ways stakeholder buy-in can be defined as the glue that binds all the elements of a program together, ensuring that the change will actually happen." CHIIS identifies four strategies to engage stakeholders: 1) identify champions; 2) establish relationships; 3) communicating regularly; and 4) manage expectations. To determine effectiveness of a care management program, you must be able to assess whether the program has achieved its objectives. These can be short- and/or long-term goals, but should be defined based on the motivating factors for establishing the program. Consider establishing an overarching aim for the program and then defining objectives that support that aim. Once goals are established and work has begun toward achieving those objectives, progress should be measured and evaluated on an ongoing basis. This will help ensure activities are advancing efforts toward achieving identified objectives. It will also assist in identifying actions that are stalling progress or creating obstacles to success and allow program leaders to make changes and improvements quickly. Care management programs typically require undertaking new projects designed to reach specific patient populations. While program managers may be able to leverage internal resources for some of these initiatives, outreach efforts often require new resources. These can include advertising, off-site education, and development of collateral. Such resources usually cost money. Even a modest budget can give a program a big boost in reaching targeted individuals. To help secure financial support, ensure you have a plan for how you will put any money you receive to good use. Develop a budget or at least calculate estimated costs for several projects that you feel would be particularly worthwhile. Bring this information to organization leadership when you make your case for why the program deserves funding. If you secure financial support, document your investments and their results, then share this information with leadership. By demonstrating the value of the organization's financial support, you will put yourself in a better position to secure additional or ongoing funding. If your organization elects to roll out multiple care management programs, ensure program leaders are providing updates to all other program leaders. These updates should include status updates (i.e., progress toward goal(s)), new initiatives, successes, failures, and lessons learned. Sharing of such information can be extremely beneficial. There may be opportunities for care management programs to partner on and/or support new initiatives. Programs may emulate successful projects. Mistakes made by one program may be avoided by others. Including leadership representation from other programs in significant planning and/or evaluation discussions will help leaders tap into their colleagues' expertise and knowledge.